This fun dino top features dino bones and says 'Bone to be Wild' on the front. Pair with our joggers for a complete outfit for your little guy. 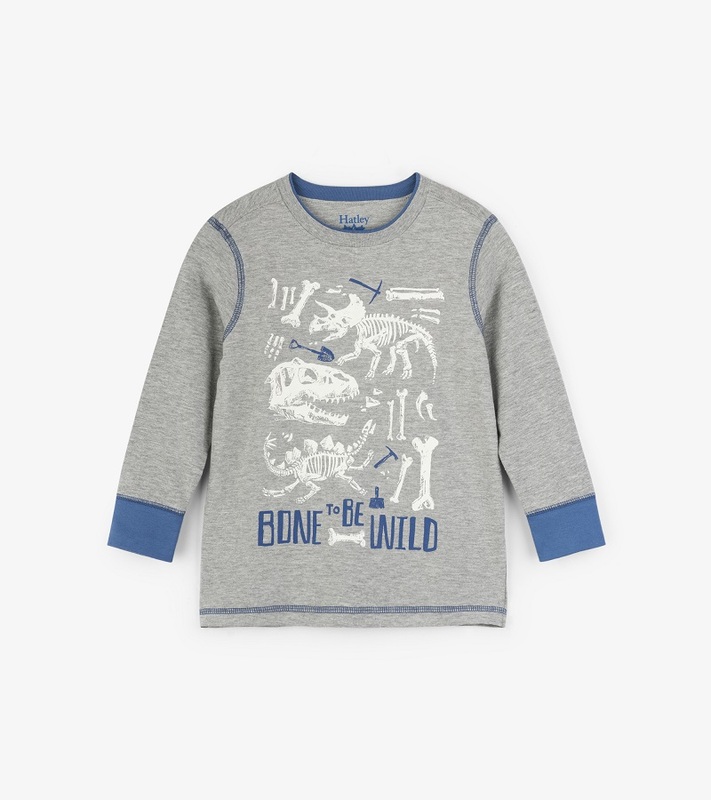 Made of 88% cotton/12% polyester by Hatley.